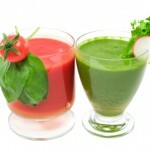 VEGGIE SMOOTHIE: Energizing, Nutritious, Truly Healthy Way To Start Your Day! Basic Recipe for 2 people: ALL LOCAL ORGANIC IS BEST & HEALTHIEST! Berries (non sweetened) Blueberries, Strawberries, Raspberries, Blackberries, Currants, Goji, etc! Frozen fruit is great because it makes the smoothie cold and easier to eat for some people. You could add a few ice cubes as well BUT better for your digestion is not frozen. There are other veggies that you’ll want to try adding…..go nuts! Chop the larger items up before they go in the blender so they get chopped easier. Also add a little bit of Distilled or Reverse Osmosis filtered water (Tap water is toxic!) to desired consistency.. we like ours thicker like almost needing a spoon to eat. If you use a normal blender it works well to put the cukes and carrots in.. and a little water.. blend.. and then it’s soupy.. so you can add the leafies and other ingredients easier. For a while we were using the magic bullet for each of our shakes individually.. but now we use the vita-mix blender for both of ours together.. and it’s absolutely fantastic! Begin by doing this daily for a week… and then continue from there. We find it’s a great perk-up in the morning…and you wont be as hungry as soon as if you had cereal, bagels, bread, coffee, etc! 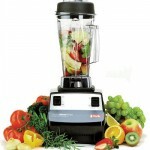 Just the sound of the blender in the morning is a great wake-up call too! Enjoy and tell us all about your experiences!